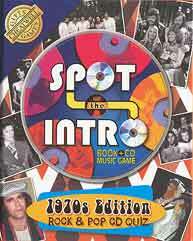 This special book edition of Spot The Intro, the classic music-recognition game, comes with an audio CD crammed with over 200 snippets of music for you to try and recognise. But that's not all... The CD also includes 100s of trivia questions on all aspects of the Seventies from people to places, television to film.